You use NetApp ONTAP to centralize and manage unstructured data. Centralize and consolidate distributed storage, improve performance, and lower costs for your Azure deployments. Consolidate unstructed data workloads into Oracle Cloud Infrastructure's (OCI) integrated stack of services. Bring the scale, resilience, and flexibility of the AWS cloud to every location. Talon works with leading worldwide partners to bring the power of its FAST™ technology to the marketplace and provide world-class solutions to its customers. The Talon Partner program is based on a competency model, where certified Talon Partners are incentivized to invest and train their employees on Talon products, solutions, and services. This allows Talon to align its investments and resources to channel partners for focus on specific or broad solutions to meet customer needs. Get access to the Talon Support CRM, (evaluation) software downloads, documentation, and tools for our customers and partners to get the most out of their Talon FAST™ deployment. 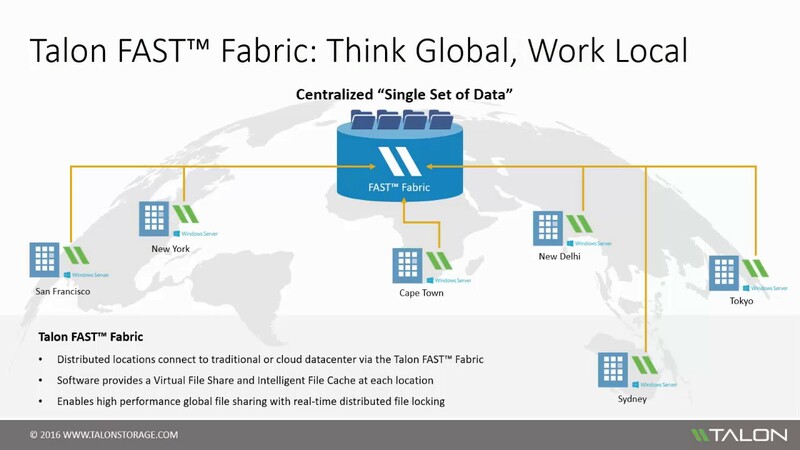 Talon FAST™ software helps organizations to modernize their distributed storage. The solution allows enterprises to centralize and consolidate unstructured data into on-premise, hybrid or public cloud datacenters while caching 'active data' to offices globally. Managing and consolidating data is a tricky, time-consuming mess. More often than not trying to fix the problem just creates a bigger one. Before you know it you've got hundreds of TB's or even PB's of unstructured data just clogging up your servers and storage platforms. What if there was a way to only keep current, relevant data on-site, and keep the old files elsewhere, without sacrificing performance? Are you managing "Islands of Data" in your branch offices? Are your users struggling with poor performance accessing their files? 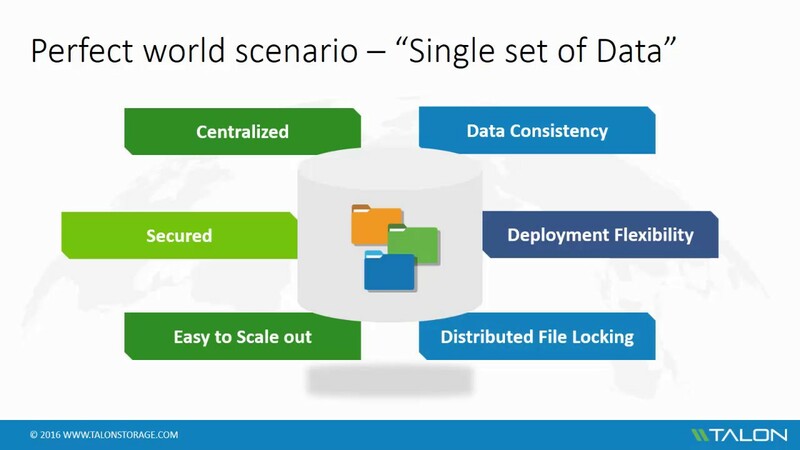 Do you need to modernize storage by separating active from archive data? Does the business require you to move your unstructured data workloads into hybrid or public cloud? 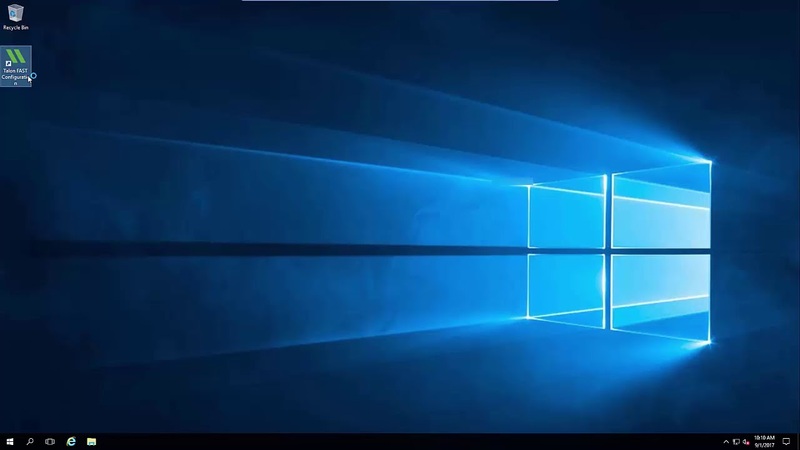 With Talon FAST™ Intelligent File Caching software and the NetApp Data Fabric, using Cloud Volumes ONTAP in conjunction with Microsoft Azure or Amazon AWS public cloud infratructure, you can do more than just control your data. You revolutionize the way your company manages unstructured data by centralizing and consolidating distributed file servers from branch office locations into a "Single Set of Data". What is Talon FAST™ ? Create a single set of data, and then use FAST™ to extend your file-sharing infrastructure to all your remote sites and branch locations. Store your single data set on premises, in a hybrid cloud environment, or in a public cloud data center. FAST™ gives you maximum flexibility. FAST™ is a storage-agnostic solution that works with any SMB/CIFS infrastructure, so you can adapt your storage solutions as needs change. In almost any environment and alongside almost any storage solution, you can cut storage costs by as much as 70 percent. 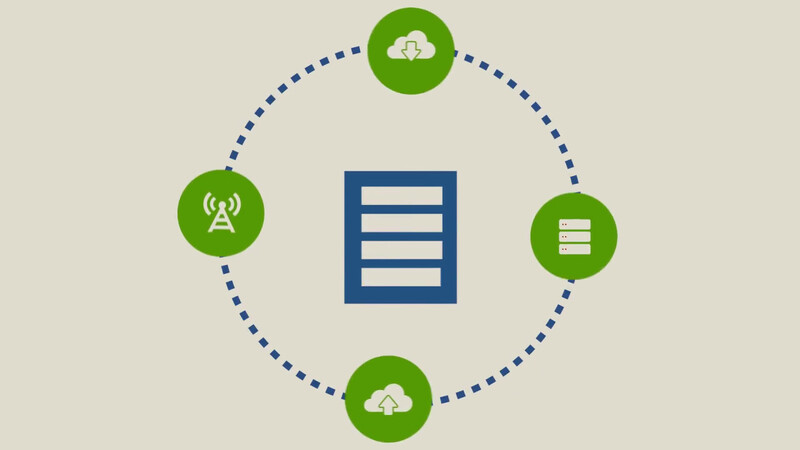 Rely on a self-sustaining, self-managing cache, and completely eliminate local backups. Intelligent File Cache ensures only the active data your team members need is stored locally, and the cache is automatically purged over time. Enjoy all the benefits of cloud—demand elasticity, financial control, and reduced physical infrastructure costs—while still delivering a file-sharing experience so good it will feel as though employees are working in the same room, no matter where they are in the world. The feedback from the locations has been fantastic, with users commenting that they feel like they are working on the LAN, which is exactly what we were aiming for. Fill out your email address to sign up for the Talon monthly newsletter. Discover Talon FAST™, the latest advancement in high performance Global File Sharing for branch offices and remote users that work in collaborative environments. Talon FAST™ for Microsoft Azure StorSimple addresses massive data growth, empowering organizations to take advantage of economical cloud storage for inactive data. With Talon FAST™ for Azure Storage you can centralize and secure your file-level data in Azure, while being able to deliver enterprise Global File Sharing and Collaboration to your business users. What are the current challenges you are looking to solve? How many branch office sites do you have in your environment? Thank you for your interest in Talon and our products and solutions.